Dry scalp flakes are one of the most irritating conditions known to affect the hair and scalp. You can’t ignore it even if you wanted to. But did you know the scalp can be super sensitive and vulnerable to infections? It’s true. It’s easy to become infected, however, there are few solutions. In some cases, dry scalp can lead to psoriasis or eczema. If not treated correctly, it can spread and cause infections to the face, neck and other parts of the body as well. Why do you get a flaky, spotty or itchy scalp? Mainly because the scalp is dry. That’s not all, however. What’s more is the products you use could contain harmful chemicals and preservatives. With this in mind, continue reading to find more causes and solution to the flakiness. What Are the Causes of a Dry, Itchy, & Flaky Scalp? How Do You Get Rid of Dry Flaky Scalp Fast? We are always trying different products, but most over-the-counter brands contain harsh agents, which we don’t think about when purchasing a hair care product. Styling products like mousse, hair lifters, and styling gels have artificial ingredients in them to make them smell good. Furthermore, the foaming agents found in shampoos and conditioners are filled with sodium lauryl sulphate. Those products contribute to dry, itchy scalp and irritation. Not only that, but dermatitis can cause excessive flaking and itching. It’s common for dermatitis to be mistaken for dandruff. If you have psoriasis, certain products will make your condition worse, and not better. Other causes of dry scalp flakes include hair dyes. It causes the scalp to have allergic reactions, which could be mild or it could be severe. A person could become ill from having a reaction to certain chemicals in hair dye. It’s not too common, but nevertheless, it’s possible. 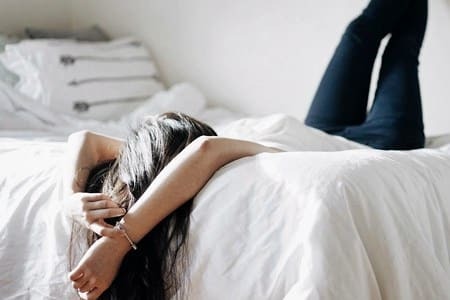 Blow drying your hair every day is a no-no. It could be the main reason you have dry scalp and flakiness. Try letting your hair air dry. This may mean you’ll have to rethink when you wash your hair, but it will be worth the effort. In addition, use the lowest setting on your hair dryer to avoid even more damage. You should also apply a leave-in conditioner to your roots and scalp before blow drying your hair. Not washing out the shampoo well can cause you to have dry scalp as well as over exposure to the sun. The hair can become dehydrated and cause stress. If you are having issues like these, seek help. Where can you get help? Right here! I’m sure you’ve bought way too many products that did not work. There are cures for hair and scalp problems. One way is to treat the hair with natural products. Before you try homemade remedies, you should know a few things first. You will be surprised to find the many simple and inexpensive ways to rid yourself of itchy, dry scalp. The following remedies are safe to try unless you are sensitive to certain oils, dairy products or citrus fruits. You must know coconut oil has terrific healing properties. It serves many purposes and is noted for its anti-bacterial agents. If you’re looking for dry scalp help, coconut oil can give you relief. It’s one way to get rid of dry flaky scalp fast. Coconut oil is one of the best-known solutions for flaky scalp. To do this, you will need warm coconut oil. Rub it in your hands before applying to your scalp to get it warm or pop in the microwave for a few seconds. Once it’s warm, apply by using circular motions to massage the scalp. The motions help the scalp to absorb the oil, therefore, your hair receives the benefits. What are the benefits? Well, your hair is moist and well nourished. Everyone is making lemonade out of their lemons, but did you know you can use natural lemon juice to get rid of dry scalp, too? It’s true, you can. The lemon juice is responsible for unblocking pores and removing dead skin cells. Your hair could be falling out because of the condition of your scalp. If so, rev up the lemon juice. Put it on the scalp and massage using your fingertips. Leave in for 30 minutes and rinse completely out cool water. Adding olive oil will give the treatment a boost. Just a couple of drop, though. The oil helps to keep moisture in the scalp and hair. Although you’re mixing three ingredients, this is still a simple recipe to follow. You need not worry about any side effects because of the pure nature of the mixture. Gather four tablespoons of lemon juice plus two tablespoons of honey and the bean curd and mix well together. Afterwards, massage into your scalp but do it gently. Set a timer for about half an hour. When the timer goes off, wash, condition and rinse it all out. Once you see improvements, reduce the conditioner times to about one or two times per week. Don’t forget to massage your scalp twice a week. Olive oil is a common and useful household natural oil. It’s good for cooking, skin and hair treatments. Most women can’t live without their olive oil. Not just women, but men apply olive oil to hair because of its moisturizing benefits. It a close match to coconut oil, so if you’re ever out of coconut oil, you know what to use instead. As a scalp treatment, it’s easy to learn and apply. Apply to the affected areas of your scalp and simply massage in, using circular movements. You should do this for about 10 or 15 minutes and leave olive oil in for up to an hour. After you’re done, wash out with a gentle shampoo, preferably one that contains natural ingredients like aloe. Repeat daily in the beginning and up to 3 times within a week thereafter. Gradually decrease treatments as you see improvements. That’s it. Most of us are familiar with the benefits of Aloe Vera and Coconut Oil, but how about Almond Oil? It’s great for the hair among other uses, but the combination of the three make the benefits extraordinary. Take a teaspoon of the trio; a spoonful of coconut oil, almond oil, and aloe vera, and treat your scalp to an amazing mixture of healthful benefits. Your hair will shine and grow beyond your belief and the dry, itchy scalp you once had will be a thing of the past. Rub into scalp and on your strands for at least 15 minutes. Wash and condition as normal, but swap out the chemicals for an organic shampoo and conditioning. Use up to three times per week. Tea tree oil is one of my favorites. I love the smell of it, but the reasons I stock up on the tree oil is because of the many uses. You can apply it to furniture, acne scars and tea tree oil acts as a hair and scalp treatment. It’s extremely effective and fast acting. It’s powerful, so you want to dilute it before you use it. Drop one or two squirts in a spray bottle and massage into your scalp. Better yet, have someone else do it for about 20 minutes. When the massage is over, (sad face) wash out. Breathe in the fresh, clean smell. Yogurt is known to combat itchy, dry scalp due to its moisturizing properties. Add in an egg white and you have a combination of hair strengthening nutrients and proteins. The yogurt gets rid of dead skin cells from the roots of your hair. How to apply? The concept is easy as ABC, 123. Keep reading to find out to get rid of a flaky scalp with yogurt and egg white hair mask. Mix together the white part of the egg and a cup of your favorite yogurt. Once smooth, apply directly to the scalp. Wait for 30 minutes and rinse away. Next, wash out as normal and apply conditioner. Keep doing this every other day until you get the desired results and reduce usage as you see change. Apple Cider Vinegar is popular these days. Just goes to show you how wonderful it is, but the benefits of Apple Vinegar Cider goes beyond weight loss. Raw Apple Vinegar Cider acts as a detangler, stimulates the hair, remove residue and restore life. You can use it to remove dry scalp and hair, too. It’s said to return the hair and scalp to its natural pH balance. With the anti-inflammatory benefits, you can now regrow your hair long and lustrous. Yes, your hair will shine will beautiful, flourishing highlights. The instructions are uncomplicated. Dilute the vinegar, no more than 4 tablespoons, with eight ounces of cold or warm water. Pour into a spray bottle or squeeze bottle and apply to scalp. It only takes 30 minutes and you can have the hair you once had before incurring the flaky conditions. When the time is up, rinse and shampoo. Tip: Don’t like the smell of vinegar, add essential oils. We have been using herbs for medicinal purposes since the beginning of time. However, sage is probably one underrated solution to relieve dry, itchy scalp, but it works. I would have never thought to use it, would you? Sage can help to stop hair loss, prevent clogging of pores, make hair shiny, turn gray hair darker, plus help it grow longer. The recipe is simple. Check it out. Using one tablespoon of fresh leaves or dried leaves. If whole, crush them up, throw in a pot of water (one cup) and bring to a boil. Let steep for a few minutes. Next, let the sage water cool. When you’re comfortable with the temperature, apply to dry scalp. Tip: We recommend using after you shower. Baking soda is one of the most popular household items as it cleans everything. Yes, it’s even good for the hair. It surprised me, too. The baking soda solution helps to remove dead cells. Do you want to know how to get rid of dry flaky scalp using baking soda? That’s not a problem, keep reading. Start with a clean spray bottle, about a tablespoon of baking soda and 8 ounces of water. Spray on affected area(s) and leave on for about 15 minutes. Wash out using warm water. You will also need to clean your hair using a shampoo. The art of massage is one of the quickest, sure-fire ways to get rid of dry scalp. It’s something we do without thinking about it as we brush our hair. Massage is the best home remedy for relieving dry scalp and it doesn’t cost a dime. Do you know what else? It feels so good, providing you’re on the receiving end of the massage. Unblock your pores and loosen flakes before you wash your hair. You can add olive or coconut oils if you want something extra. Another cure all for the head and scalp is aspirin. If you check the labels of the most popular brand shampoos, you’ll find aspirin’s main ingredient, salicylic acid. So, if you own a shampoo with salicylic acid, treat your hair with aspirin first to get the full effects. It’s one of the best ways to remove scalp acne if that’s also a problem for you. Crush two aspirins up until it looks like a powder. Stir into your regular shampoo and work in like normal. It doesn’t get any simpler than this, guys. 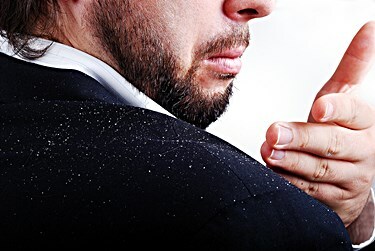 You may be shocked by the millions of people who suffer from itchy, dry scalp if not dandruff. It’s nothing to be embarrassed about having. Some of us are aware of these tips to help you get rid of dry scalp but not everyone knows. If you were left out previously, keep reading to find out what you need to know. Stop using a lot of shampoo. When you pile on the shampoo, you only increase your chances of leaving behind build up. Rinsing is also important. Often, we don’t rinse the hair well enough and leave plenty residue behind to damage our hair. As with anything else, you must make a change to your normal behavior if you want long, beautiful hair. A clean head of hair reduces flakiness and scalp irritation. Exfoliate, exfoliate! It’s not just for your face or body. The hair is worthy of such royal treatment, too. You must get rid of the dead skin beneath your strands in order to have healthy roots and hair. Add sugar to your regular shampoo, just a couple of tablespoons will do it. Work into a lather and massage in the scalp using your fingertips. Don’t scratch, though. It can cause scarring and other irritating problems. Avoid using hot water. Women are notorious for taking hot showers and washing their hair the same way. Stop that as water can dry out your hair. In addition, stay away from heat; curling irons and blow dryers. Unblock your pores. A good massage will relieve you of stress and yes, even dry scalp. As you massage the roots, you loosen dandruff flakes and dead skin. Massage before you shampoo. Remember, adding olive oil assist in improve dry conditions of the hair. After the massage, use an olive oil treatment. Warm olive oil soothes the scalp. Take some olive oil into a small container. Dip your fingers into the bowl and massage into your scalp only. Cover with shower cap and warm towel. Set microwave timer for 45 minutes. Watch TV or read a steamy novel while waiting. Rinse with lukewarm water and shampoo. If you normally use a conditioner after washing your hair, skip applying it to your scalp. Only apply to the shaft of the strands. Well, there you have it. The 12 top ways to get rid of dry flaky scalp quickly. And here are some of the ways that you are damaging your hair that must be avoided. Following these methods will help restore your scalp to full health in no time.